Home/About Us, Healthy Lifestyle, Video/New Year, New You! So here we are, it’s 2019 and we made it! At the end of every single year and the beginning of the new one of the top talked about topics is what’s on everyone’s resolution list? More often than not the most common are to lose weight, get fit and eat better. Instead of focusing on just the physical aspects of your wellness, also be mindful of the rest of yourself. Take care of yourself mentally, fill your cup with acts of kindness, smile, take a warm bath, go on a nice walk, do something JUST for you! Our bodies cannot thrive physically without taking care of our selves mentally. Take a look and see how our Pure Hemp Botanicals products have benefited the entire wellbeing of our customers. We’ve heard from so many of you that it’s hard to choose which to share! New Year, New You – Customer Testimonials from Pure Hemp Botanicals on Vimeo. We would love to be a part of helping you stay strong this year! Not only by using our products but as a shoulder to lean on! If you don’t already follow our blog regularly or any of our social media platforms we invite you to do so! Here are some 2018 blogs you may have missed that could help you in your quest for greater well-being! So I Warmed Up and Worked Out! What Next? Post-Workout Tips! Using CBD with your daily meditation. We promise to continue to research and learn all we can while bringing everything we’ve found back to share with all of you! 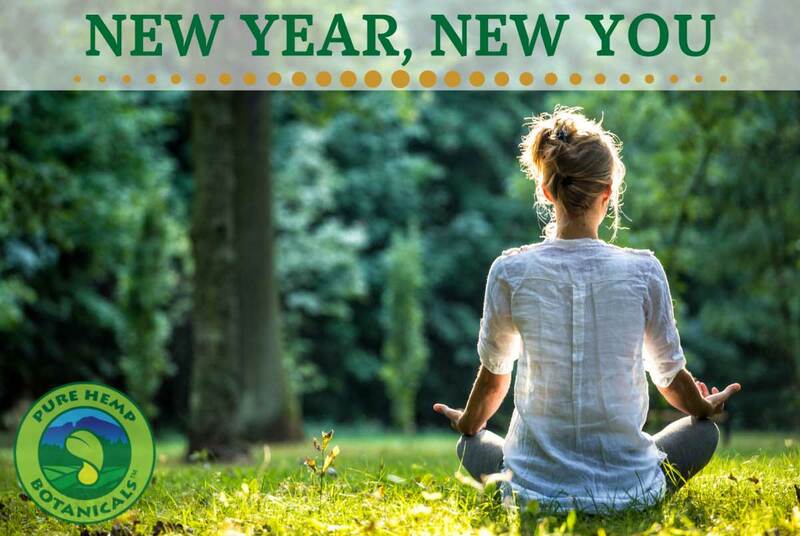 Here is to working towards being a more mindful, thoughtful, healthy, caring, kind and in-tune with your own personal wellness this year!